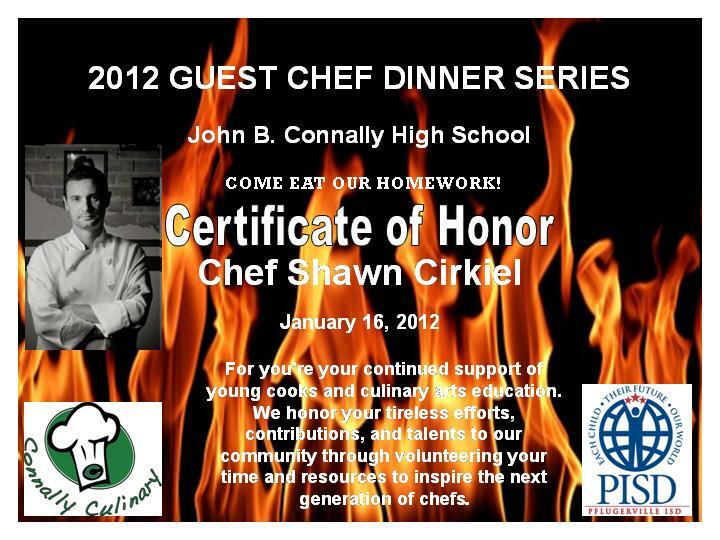 Guest Chef 3 - Chef Shawn Cirkiel - COOKING WITH CONNALLY - Where You Become The Chef! 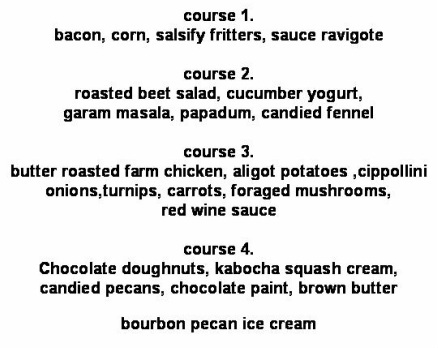 Widely recognized as one of Austin’s most creative restaurateurs, Chef Shawn Cirkiel has been impressing area foodies and critics alike since the early 2000s, when he gained the honor of Austin’s youngest five-star chef from the Austin American Statesman. Cirkiel was the first to introduce Austin to the gastro pub concept with his casually sophisticated parkside on Sixth Street. He also recently opened Neapolitan-style pizzeria, the backspace, and continues to inspire diners with his innovative approach to New American cuisine and authentic artisan pizzas. blood, having grown up on a farm with a family whose livelihoods were rooted in the food business back as far as his great-grandparents. His training at the Culinary Institute of America provided Cirkiel a more refined cooking style while further encouraging his obsession with seasonal, local ingredients. This passion later led Cirkiel to become a founding chef of the Sustainable Food Center’s Farmers’ Market in downtown Austin. Hoping to instill is his two children and the younger generation a similar passion for fresh, local foods, Cirkiel is also a member of the Nutrition and Health Board for the Austin Independent School District’s Highland Park Elementary, where he has played an instrumental role in building a variety of healthy-eating, exercise and gardening programs. Actively participating in the community is also important to Cirkiel, who has long been dedicated to improving downtown Austin’s historic Sixth Street district. His involvement as a board member and secretary for the Sixth Street Austin Association has been crucial in helping the preservation organization raise funds to continue restoring the legendary district, enhancing its historic character and better branding the area as a celebrated destination worldwide. Since opening the award-winning parkside — known for its impressive oyster selections, raw seafood bar and seasonally rotating menu — Cirkiel has received much media attention, most recently noted in Food Arts Magazine. He has also graced the pages of the Los Angeles Times, American Way magazine, Spirit Magazine, and Cooks Illustrated, just to name a few. Texas Monthly magazine named parkside one of the ‘Top 10 Best New Restaurants in Texas’ in 2009, and Bon Appetit Magazine crowned parkside one of the ‘Hot 10 New American Taverns’ and a top destination for pub cuisine. Despite his many regional and national accolades, Cirkiel remains focused on the delicate details of serving well-crafted food to each and every diner visiting parkside and the backspace.